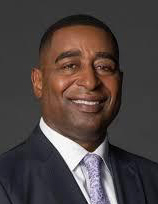 Former Philadelphia Eagle and NFL Hall of Famer Chris Carter will share his personal story of addiction and tell how to support those with addictions during a talk at 7 p.m. Wednesday, Feb. 6 at Father Judge High School, 3301 Solly Avenue in Northeast Philadelphia. Joining Carter is Joe Ashdale, Father Judge class of 2007, and representing cosponsor Ambrosia Treatment Center. Father Judge is providing this opportunity to friends and family of the school to create awareness about the issue of addictions in the community and to support mechanisms for those suffering from addictions and their loved ones.